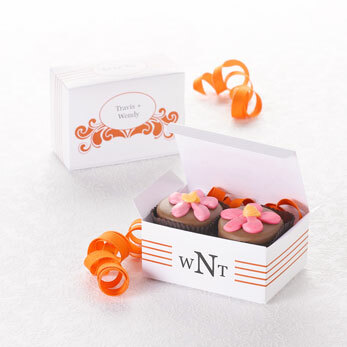 Create personalized Favor Boxes by adding your wedding colors, photos, fonts, and wording. 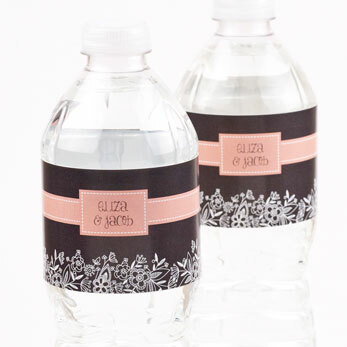 Brand your own Water Bottle Labels! Personalize any label with your colors and favorite fonts. Personalize any design with your colors and wording, and attach the tags to your favors. Wedding Favor tags were incredible! They're beautiful! even my younger sister was impressed with the tags. My fiancee and I are having our wedding in Vegas so these tags are perfect for our wedding favors. The favor boxes look just like my personalized design. The design process is simple to use and the product turned out great! I would highly recommend MagnetStreet for this type of personalized favor box. You couldn't have pulled off your whole wedding day without the support and help of your friends and family! While they may seem like a small touch, Wedding Favors show your thanks in a big way... and they will not go unnoticed. Add bursts of color and personality to each gift by personalizing your own Wedding Favors. We offer a variety of Favor Gift Bags, Favor Tags, and Favor Boxes that can be easily personalized to fit your wedding color scheme and style. Available in 20 colors, Organza Favor Bags add a sheer layer of elegance. Complete the look with personalized Favor Gift Tags, printed in your wedding colors and favorite photos, fonts, and message. Adorn your wedding favors and gifts with custom Wedding Favor Tags that add a touch of personal sophistication. Our Rectangle and Square Favor Boxes come in dozens of designs. Personalize any Favor Box design with your colors, photos, fonts, and wording! 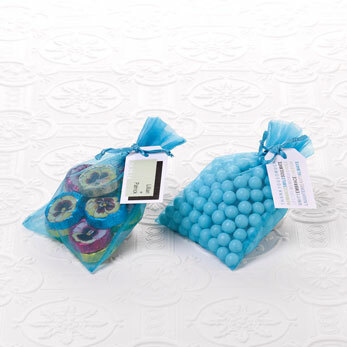 No matter the Wedding Favor type you choose, you will certainly make a grand impression with wedding guests.